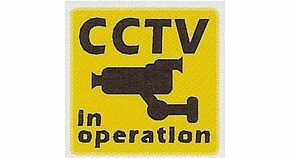 CCTV In Operation. Home Interior Window Sticker. CCTV In Operation. Interior Window Sticker. This is an excellent item, and I have already recommended a friend to purchase as well.